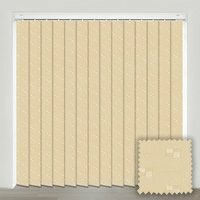 Our stylish collection of luxury custom made brown vertical blinds offers a sumptuous way to bring soothing colour to a room’s décor whilst adding real functionality. Their ability to rotate to pretty much any angle means you can allow light into the room without being effected by the glare from the sunlight. With beautifully rich tones of camel, chocolate, bronze, fawn, ecru, khaki, tan and taupe we’ve got a shade to suit all tastes. 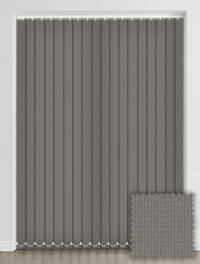 Colour of roller blind is just as it appeared online and just what we wanted. Very well made blind. Arrived in good time. Excellent finish and I am considering ordering another bespoke blind for another room - rather than using the curtains I have. I bought these blinds for my parent's conservatory to replace the old rotten ones and the whole experience has left me recommending you to other people and will use you for my own home in the future. 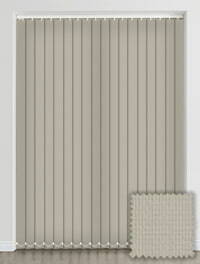 We are very happy with the complete service offered by English blinds. The free samples arrived very quickly, allowing us to make the correct choice of blind. We were notified when it went into production and when it would arrive. Can't fault the service. Very impressed with everything, especially the quality and measuring instructions. Will definitely recommend English Blinds to our friends and family. Easy to order lots of samples, no hard sell, good product. Recommended. We received sample as requested. We ordered our blind and it was delivered asap. The blind was exactly as the photo on-line and we are thrilled with it. Have just ordered samples fora blind for another room.